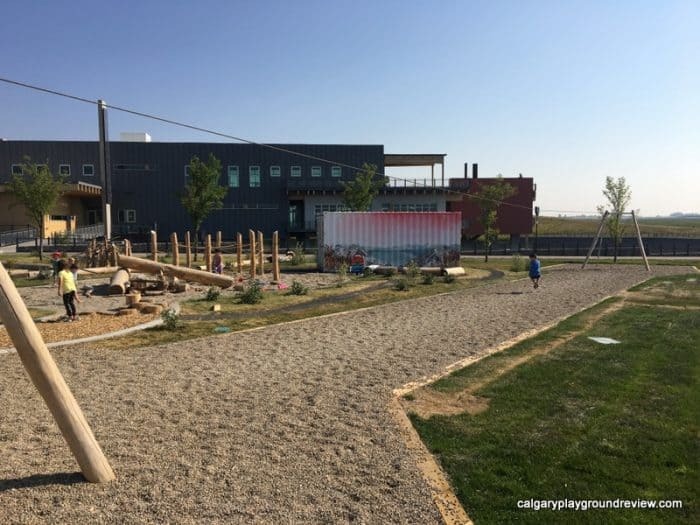 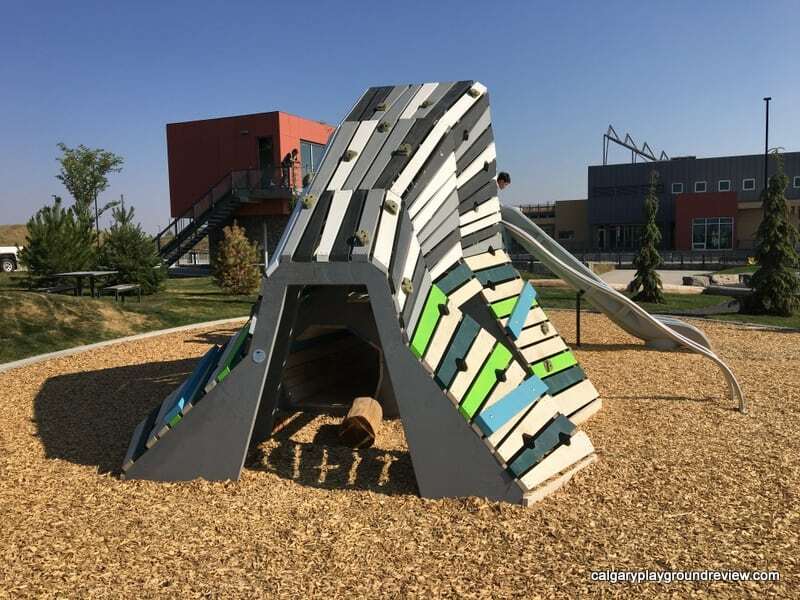 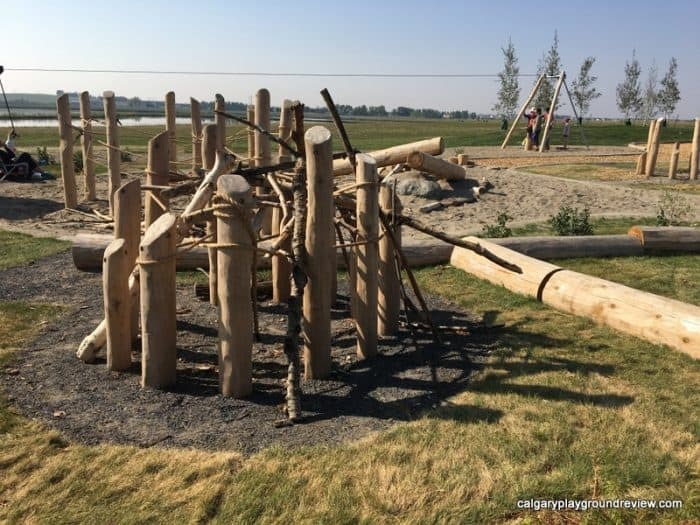 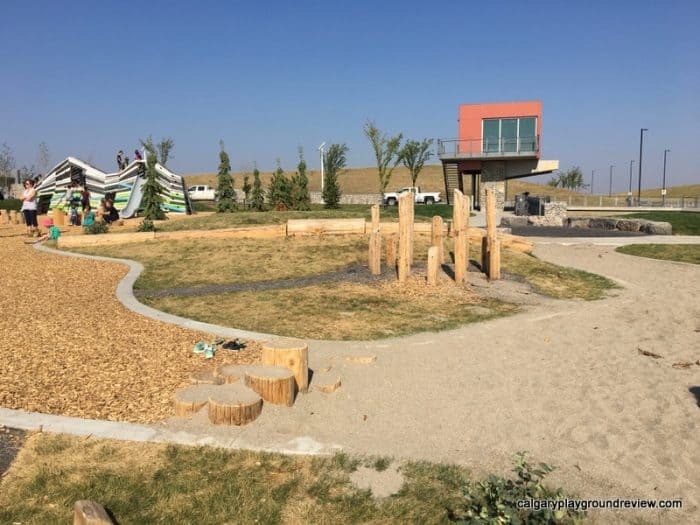 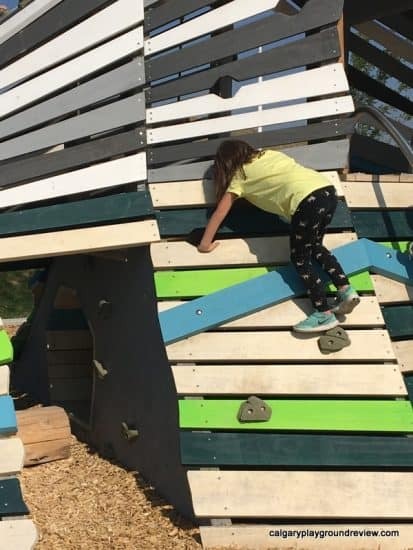 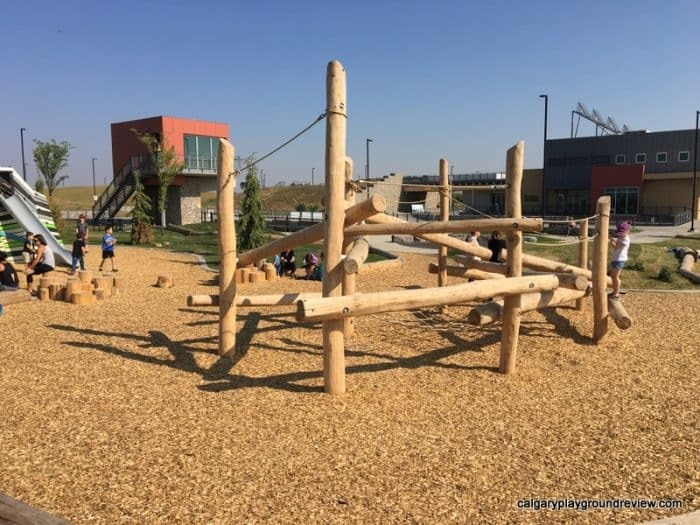 Features: Large wooden mountain climber with slides, zipline, large log jam feature, sand pit with sticks and log loose parts and shovels. 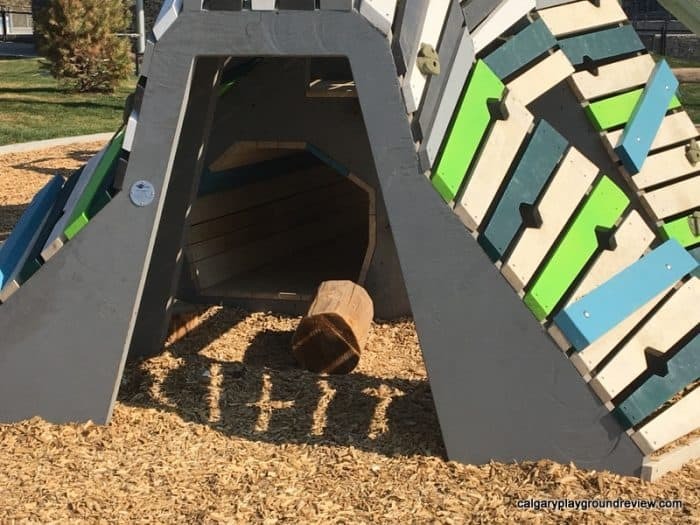 Areas well set up for fort building. 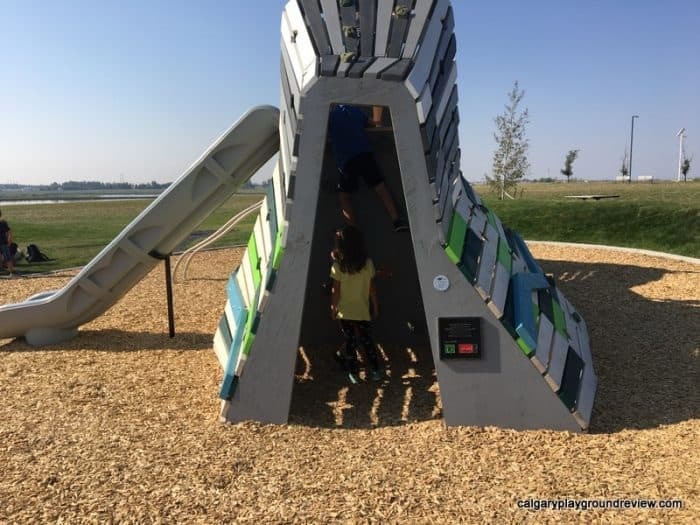 This new playground (summer 2018) has already become very popular. 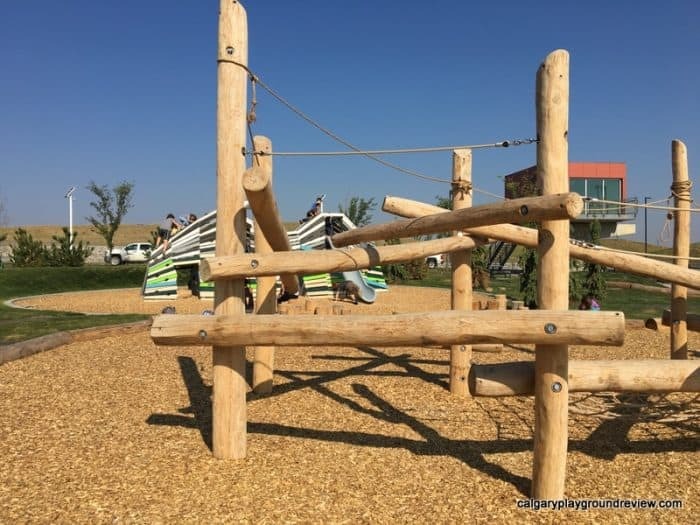 Bigger kids will love the zipline, testing their skills on the ‘log jam’ and playing on the unusual mountain climber. 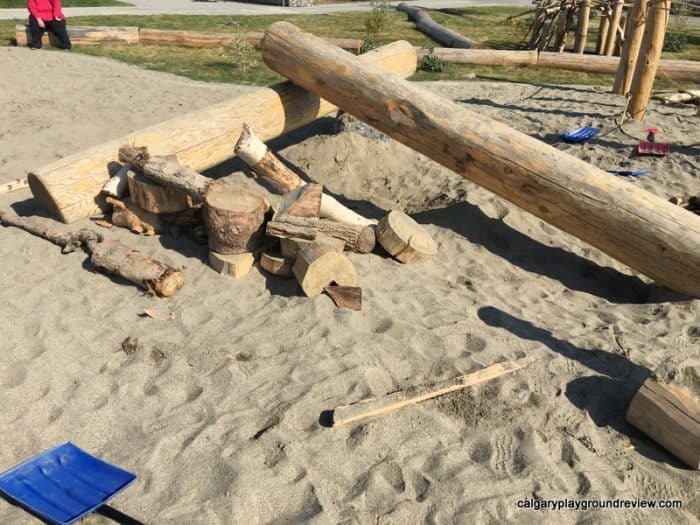 Little kids will love the sand pit and mini log jam. 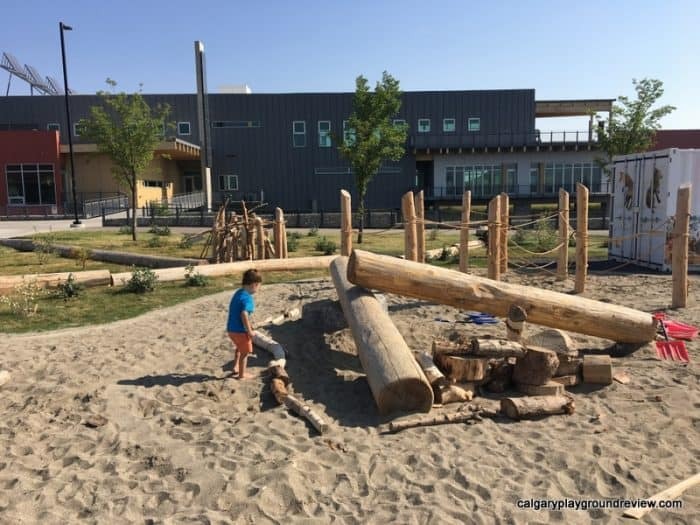 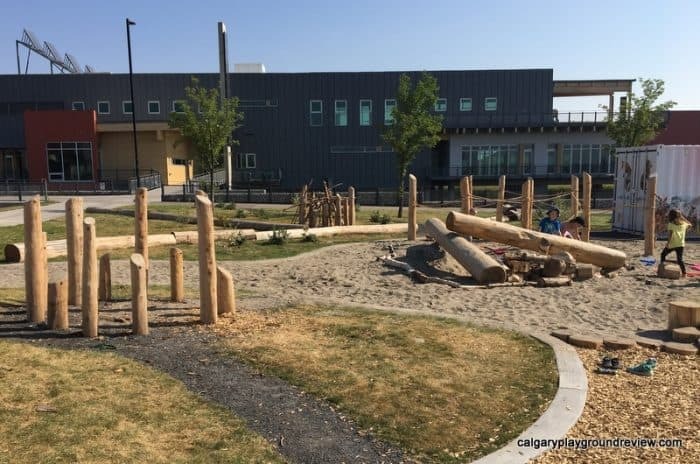 This is a great park for meeting up with friends as it has lots of space, bathrooms nearby, picnic tables and will entertain a large age range.